The Pininfarina-designed Ferrari F430 was unveiled at the 2004 Paris Motor Show, and its external appearance was quite different from its predecessor, the 360 – in particular, its more aerodynamic shape was honed to generate air flows to increase downforce and improve cooling. The Enzo Ferrari was the inspiration for much of the rear styling, while the large air intakes in the nose were reminiscent of the 156 F1 that Phil Hill drove to the 1961 World Championship title. 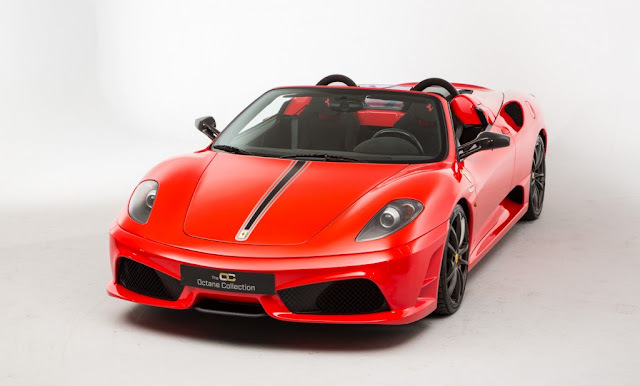 The F430 was powered by a completely new 4.3 litre V8 engine. Other new features on the car included an innovative computer-controlled electronic differential (or ‘E-Diff’), designed to make the most of the engine’s torque to optimise traction, and a steering wheel-mounted control knob (known as a ‘manettino’), directly controlling the vehicle dynamics. The Michael Schumacher-tested F430 Scuderia (‘stable’ in Italian) was launched in 2007, and served as a successor to the Challenge Stradale. 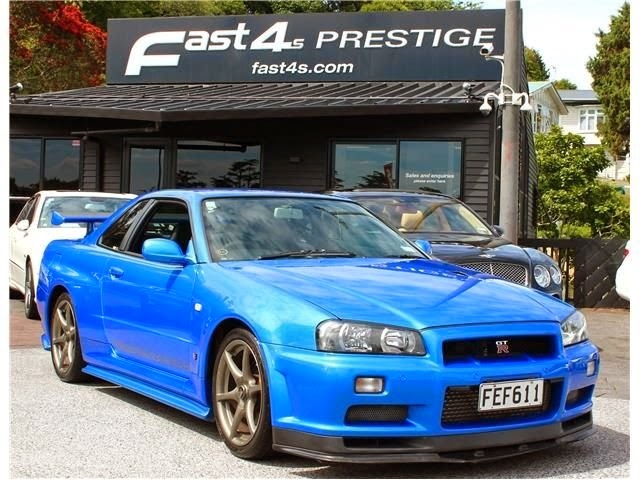 Exuding uncompromising sportiness, external modifications included larger front vents with wide-meshed metallic grilles, as well as lower-profiled bumpers and chin spoiler to enhance the car’s front-end downforce. As well as being 100 kg lighter than the standard F430, it had increased power, while superb quick-response braking was guaranteed by callipers and carbon-ceramic discs. 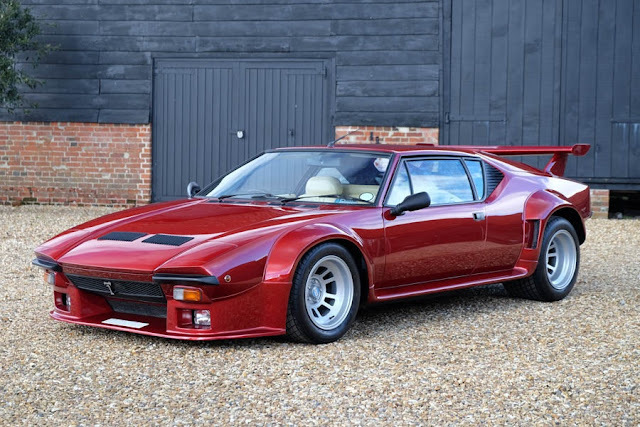 The manettino became a ‘racing’ manettino, with slightly altered settings allowing the traction control to be deactivated to allow wheelspin, while the stability control remained engaged. Its semi-automatic transmission featured improved ‘Superfast’ software (known as ‘Superfast2’), allowing the gears to be disengaged and engaged at the same time as the clutch was opened and closed – the result was that the Scuderia and 16M benefitted from a reduced gear-change time of as low as 60 milliseconds. To commemorate Ferrari’s 16th victory in the Formula 1 Constructor’s World Championship in 2008, Ferrari unveiled the Scuderia Spider 16M at World Finals in Mugello. Grey Racing Stripe, Carbon exterior pack, Extended Alcantara to dash / footwells w/ red stitching, Tracker, Technical Fabric seats w/ red stitching, Yellow Brake Calipers, Radio / CD / MP3, JBL speakers, Bluetooth prep. The spider variant of the Scuderia manages to demonstrate it’s dramatic and athletic design to full effect in Rosso Scuderia; the definitive Ferrari motorsport colour. 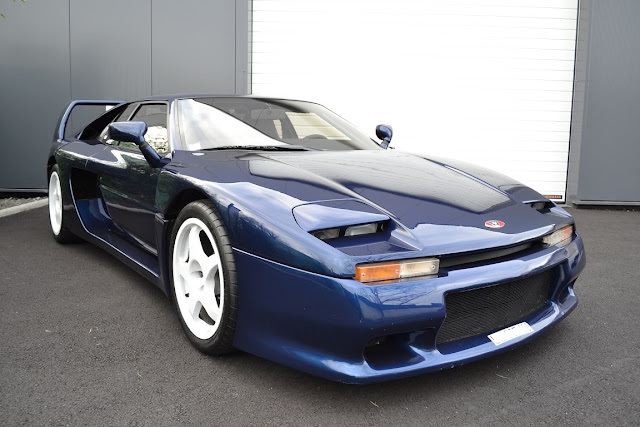 In offsetting the paintwork there are a number of considered styling additions with a liberal use of carbon fibre to both rear diffuser and the rear grille surround sporting a prominent 16 World Championships badge. The carbon offset continues with the roll hoops, which do well not to interrupt the roof line, mirrors and even the inside of the headlights treated to the weave. The condition is absolutely first class, as one would expect with such low mileage, with factory arch film still in place. Additional PPF treatment has also been liberally applied to bumper, bonnet and mirrors. The glass rear engine cover is scratch and craze free, an open window into 503hp masterpiece. The exotica continues aboard this beautifully appointed cabin with swathes of carbon fibre and alcantara. The tech fabric seats offer a perfect balance of comfort and support whilst the red stitching helps to define and shape the dash, seats and footwells. The manettino is again the focus of the driver with settings to transform the bite and feel of 500hp transmitted to the road. Pleasingly the carbon fibre door cards and entry sills retain a deep lacquer free of scratching or marks whilst the switch gear remains tidy and clear. The roof mechanism is quick and easy and has been recently serviced with a new boot lock. Powered by the same 503bhp version of the 4.3-litre V8 found in the Scuderia, there has been an extra tweak in the form of redesigned pistons with 80 per cent of the engine’s torque available now available from just 3000rpm. Beautifully presented in a nest of carbon fibre, the sound of this V8 is entirely unique once the resonators in the intake manifold are switched – totally intense and a very special experience with the top down. The ceramic brakes are just incredible on this 16M, immediate bite and total confidence stop after stop. The car wears matching Pirelli’s all round and the matte alloys are in perfect cosmetic condition. Contact The Octane Collection for more details.